Used for making ridges for planting tobacco, potato and other vegetables. The ridger fully adjustable for giving different accurate row widths. To obtain the correct ridge profile and retain soil flow, the high grade mould boards are adjustable. 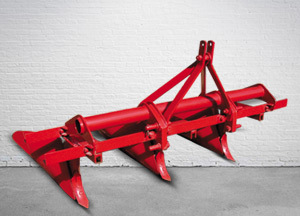 The ridger can also be used for earthing up the crops sown in rows.